As 2016 comes to a close, we reflect on the many ways our partnerships with the pharmaceutical and biotechnology industries have impacted our reach and scope this year. From foundation funding for our programs to advocacy partnerships that expand our mission, we are sincerely grateful to those companies who demonstrate their commitment to alleviating the financial burden of cancer. Over the past two years, these generous partners have provided more than $2,100,000 in transformational funding, along with countless hours of volunteerism and thought partnership. 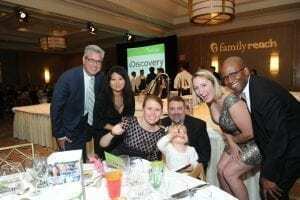 This year in particular has been an important one, as our industry partners provided deep insight on the launch of new initiatives that have expanded our ability to reach more patients and families in need. Members of Janssen Oncology pose at Cooking Live! New York. Launch of the Family Reach Financial Handbook: Our industry partners are not afraid to challenge us to do more, think bigger, reach more patients – and we love that. With their encouragement, we published the Family Reach Financial Handbook in April. This free tool for patients and caregivers starts the conversation about finance and cancer between patients and providers, reducing the stigma that is too often associated with financial hardship and empowering families to ask for help when they need it. 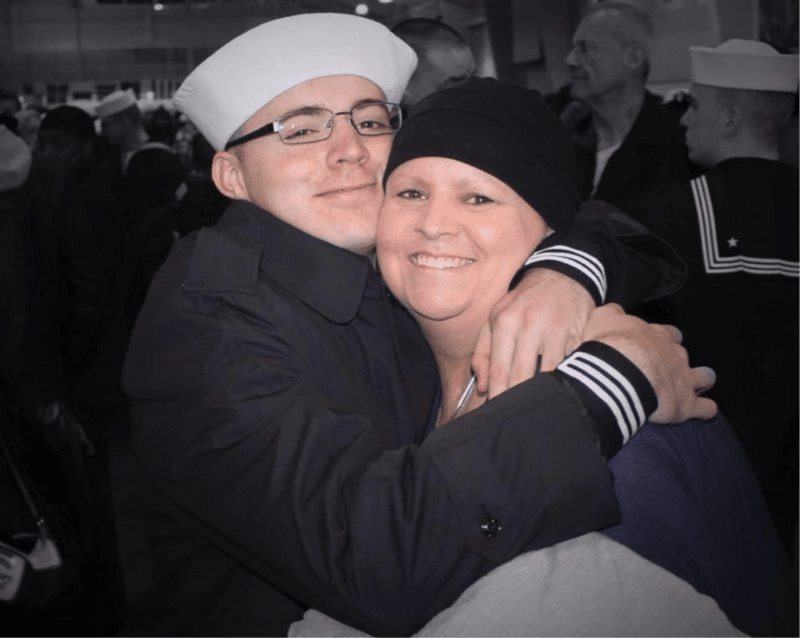 Stephanie, one of our adult cancer patients, smiles with her son. Expansion beyond pediatrics: With industry funding, we were able to offer critical financial assistance to more families facing an adult cancer diagnosis, enabling an astonishing 23 percent increase in funding provided to adult cancer patients and their families between 2015 and 2016. While supporting children will always be a core component of our mission, we are proud to offer our services to adults also struggling with the weight. Harrison & Star, AmerisourceBergen, Celgene and the Navectis Group speaking at Imagine. 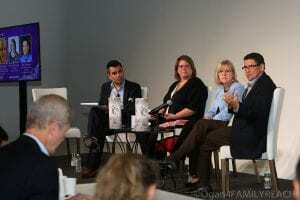 Collaborating from all sides at Imagine: On September 22nd, our industry partners came together at our inaugural Imagine Session to discuss their commitment to patient access to care alongside a diverse group of stakeholders from technology, banking, transportation and other industries. They provided deep and meaningful insight into the healthcare landscape that enabled our partners from outside the industry to identify new ways to approach financial toxicity. As a result of this diverse collaboration, Family Reach will announce new research initiatives in 2017 that will provide new data on the financial burden of cancer and inform future program growth. AbbVie employees spend a day creating cards for our pediatric oncology families. Volunteerism to support patients: Throughout the year, many of our industry partners encouraged employees to engage in our mission by providing comfort to patients at our partner hospitals. Teams had the opportunity to create holiday or birthday cards , assemble care packages or even visit the oncology floors to work with patients on art projects. As we look ahead, we are grateful and proud of our continued partnerships with the pharmaceutical and biotechnology industries. We look forward to all we can accomplish together in 2017 and beyond.